dozens of students to Armenia. 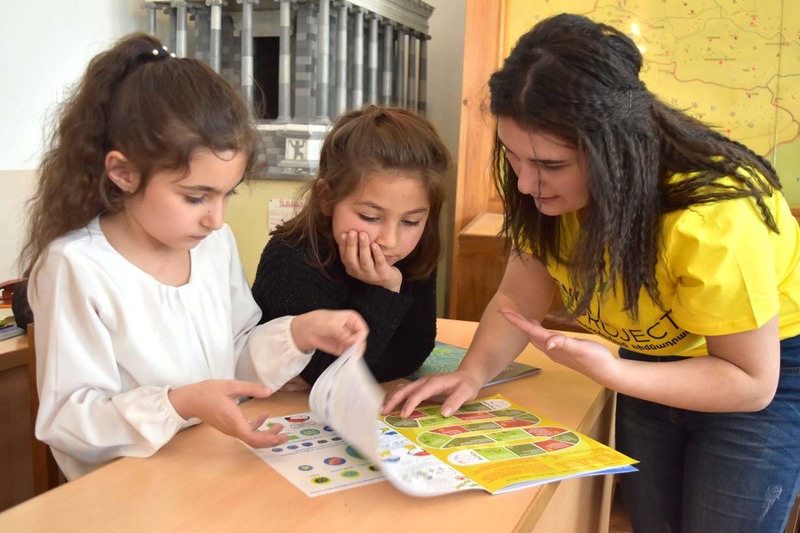 Our Building Bridges Initiative focuses on educating and bringing awareness to students outside Armenia, while providing them the opportunity to be connected with likeminded students in Armenia – and work together to create solutions. 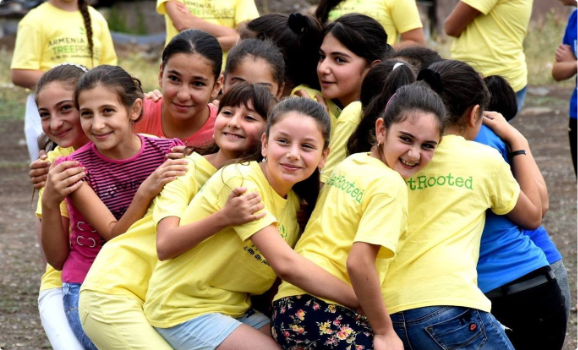 School groups are invited to visit and plant in Armenia while making individual and classroom connections. 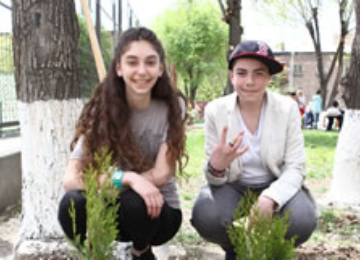 We love sharing the resilience and beauty of Armenia’s indigenous ecosystem with students and teachers. Our visits range from classroom presentations to all-day activities. Our FREE Teacher Kit provides training and classroom materials that guide environmental teaching and learning, and emphasizes the importance of Global Citizenry in maintaining a healthy and vibrant environment. Kits can be shipped directly to your classroom. 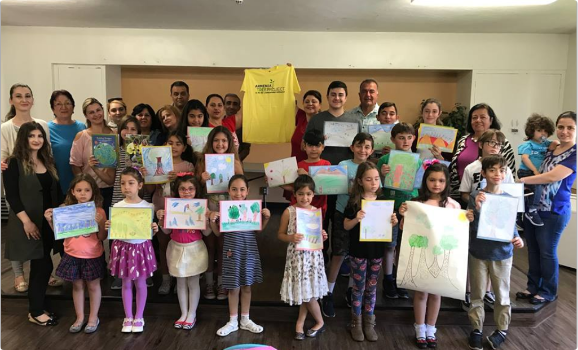 Building Bridges connects young people throughout the world with likeminded environmentalists within Armenia to create solutions for solving today’s environmental problems. 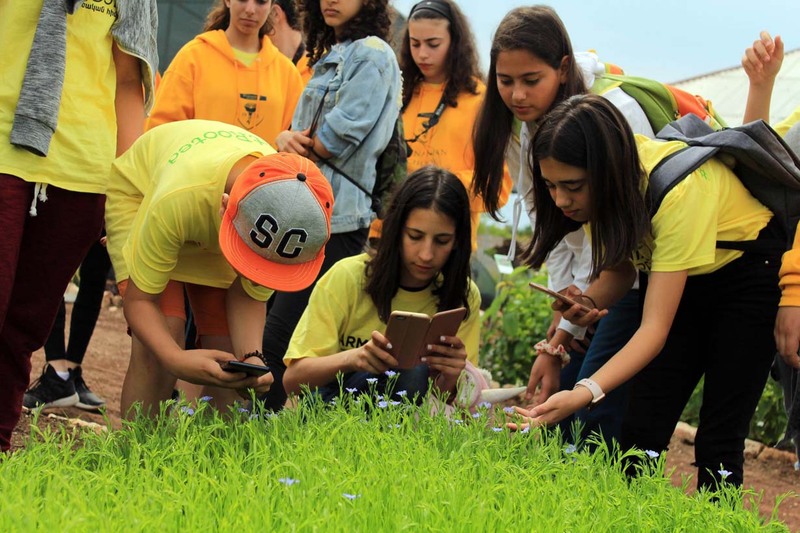 International students have the opportunity to visit and plant in Armenia while making individual and classroom connections. Each one of us has the capacity to bring greater protection to our natural resources and ecosystems. Whether participating in a cleanup or organizing an event in your community, your engagement and awareness can have an enormous impact on others and on the environment we share together. THANK YOU FOR YOUR INTEREST IN BUILDING BRIDGES!